Price list 2018 of Samsung RT26FAJSAPX/TL Refrigerator is listed here. Samsung Fridge Prices includes latest price of this model of Refrigerator with latest features. 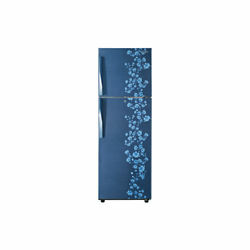 Lowest Prices are listed here for you to buy online latest Samsung Refrigerator at cheap rate. Features of this Fridge are Frost Free, new top freezer refrigerators pair durable, energy-efficient technology with innovative features that preserve food longer.